Tea lovers rejoice! Our Asian Teaware clearance section is full of tea sets, teacups, and teapots that are perfect for all your needs! The traditionally designed teaware pieces that you can find here are both affordable and functional. Whether you�re looking for a simple set of teacups or a beautiful tea canister, our teaware clearance section is full of inexpensive and high quality items to match your needs. 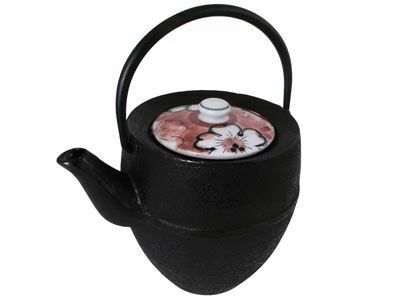 Don�t miss amazing deals on our teapots, like the Ornate Gold and Floral Chinese Tetsubin Square Teapot, which is not only a perfect choice for brewing hot tea, but will also last you for years and years to come. Pair any of the wonderful teapots you find with a tea mug or a set of teacups so that you can enjoy freshly brewed tea in style! Tea sets come complete with a teapot and few teacups, like the Polka Dots Porcelain Tea Set for Two, making you prepared for great conversations over a cup of warm, delicious tea. Find some of the best deals on quality teaware and prepare yourself for many satisfying cups of tea to come!